Although our practice is named “Christian Counseling Associates of Raleigh” those we serve are in a much larger geographic area. On some occasions we have even offered counsel to missionaries who are serving in other parts of the world. For Intensives: Our location is very accessible and we find that motivated couples have no difficulty devoting the time and resources necessary to work with us in North Carolina’s “Research Triangle” area. Our offices and other commonly used facilities are within a drive of roughly four hours or less from plenty of large metropolitan areas, including Greensboro, Winston-Salem, Charlotte, Asheville, Richmond, Petersburg, Lynchburg, Roanoke, Norfolk, Virginia Beach, Hampton, Newport News and Columbia, as well as other Carolina communities such as Wilmington, Greenville, Jacksonville, Fayetteville and Myrtle Beach. The Raleigh- Durham airport has direct flights – often 90 minutes or less – to a number of other large metropolitan areas such as Washington DC, Baltimore, Philadelphia, New York City, Boston, Pittsburgh, Cleveland, Detroit, Columbus, Cincinnati, Indianapolis, Nashville, Knoxville, Chattanooga, Atlanta and Jacksonville, FL. We also find that with slightly longer flights (often direct), couples are eager to join us from residences in Florida, the Northeast, the Midwest and the Deep South. 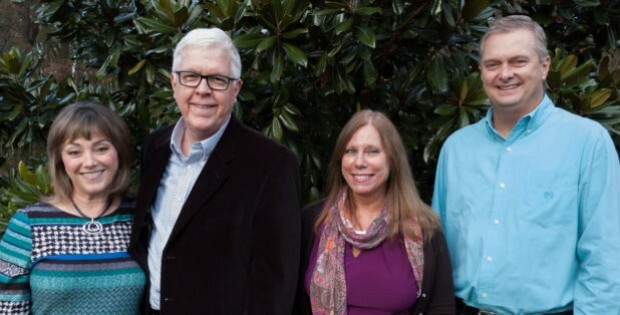 For Events, Conferences & Seminars: The Christian Counseling Associates of Raleigh team comes to you … and there is virtually no place we can’t, or won’t, travel to! We’ve conducted and participated in activities in cities from coast-to-coast, throughout North America and even many international locations. If your church or organization can benefit from our participation or leadership in a couples counseling program we welcome the opportunity to do so. Please contact us at least sixty (60) days in advance to discuss your plans and the role we may play. Naturally, the more lead time we have for these events, the greater flexibility we will have. For Ongoing Counseling Services: Our primary area is within the Raleigh – Durham area as well as Chapel Hill. However, we are also honored to serve couples and individuals who travel much longer distances to work with us. Particularly with our use of Extended Sessions we find that clients are able to travel up to a few hours to benefit from our services – from locations such as Greenville, Rocky Mount, Wilson, Greensboro, Winston-Salem, Burlington, Henderson and Fayetteville. Since you are devoting your time to learning more about our services and the ways we may benefit you, we also hope you will not allow geographic considerations to be an insurmountable hurdle. With extended sessions and even video conferencing, we are confident that Christian Counseling Associates of Raleigh can be of service to you or those you care about.